Money issues are always of paramount concern when an eldercare discussion begins. The presumed cost of eldercare can frequently frighten a family from any type of action—even when action is necessary for the safety and well-being of their aging loved one. In addition, poor communication, rumor and assumptions, and a generalized lack of eldercare knowledge frequently undermines the process—well before an effective eldercare solution can be formulated. Add in a heavy dose of family conflict, and solutions can be stalled, fought over, or avoided. Avoidance of the topic can prove to be even more costly, as delays in quality care often compromise the safety and well-being of the senior. The topics of money and the cost of eldercare need to be addressed—and often the discussion starts around the parent’s kitchen table. However, a generalized uneasiness is often present when an adult child is forced to discuss money issues with a parent. Children, regardless of age, are often not privy to their parent’s financial balance sheet. Parents frequently do not share their income or financial portfolio with their adult children, so assumptions are often made that may not be accurate. Mom and Dad could have lived a modest life and now have substantial savings and a comfortable retirement income; whereas, a more extravagant couple could have spent every penny they earned. Fortunately, some seniors were wise planners and consulted with a financial professional and estate attorney to preserve and grow their assets. In anticipation of care and need, they may have purchased long-term care insurance, life insurance, and funded an annuity. Others, perhaps through no fault of their own, might have lost significant savings during economic turmoil, unemployment or a health crisis. Frequently, adult children are surprised when they take a first-time look at their parent’s financial situation. Every personal balance sheet reveals the true ability to pay for care—this truth can be either frightening or liberating as it reveals limitations or advantages in care choices. the true costs of care. discussion about the need for professional eldercare assistance. Adult children might have their parent’s well-being in mind when they start to discuss the cost of eldercare but often, their own financial concerns and needs can influence the discussion and alter the outcome. Parents frequently want to provide a financial legacy for their children and grandchildren and do not want to “waste it” on paying for care. One adult child may want that legacy preserved to improve his or her own financial health; another may wish for the money to be spent on the well-being of the parent. Sadly, aging parents often choose to delay “costly” care since they feel an obligation to financially support dependent adult children and grandchildren. The financial health—and self-interest—of the adult child can greatly influence or stall the discussion and decision to hire eldercare assistance. Adult children need to honestly assess the situation to determine the care needs of their loved one, and try to overlook their own personal feelings and motivations. Clearly, the decision to hire eldercare assistance must be based on the needs and well-being of the senior. The cost of care is always dependent upon the level of care needed and obviously, care needs tend to grow and change over time. For this reason an eldercare professional, such as an eldercare consultant, can help guide the family during this difficult and confusing time. After a professional assessment, she can help educate the family about the true costs of care, and dispel assumptions and rumors of hyper-inflated eldercare costs. She can provide guidance about long-term housing and care options that are appropriate for the senior’s need. thorough review of the senior’s assets should occur, before any specific changes are recommended. Legal documentation such as wills, advance directives (living wills and medical and durable power of attorney), and trusts, can be executed if needed. In addition, these professionals can provide an overview of state and federal programs and benefits that may provide financial assistance for care, such as the VA benefit. With appropriate eldercare, financial and legal guidance, the senior client and family are both well-informed and protected. 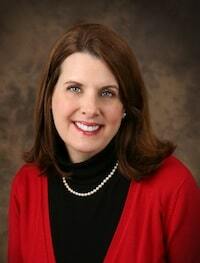 Karen Schaeffer, Eldercare Consultant with Age & Dignity Consulting, LLC.© 2010. This article cannot be reproduced without permission.